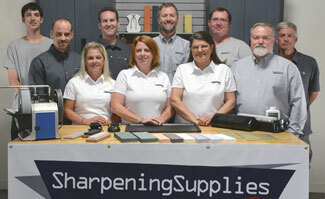 Home / Sharpening Articles / Sharpening FAQs / Is a sharp knife safer? At first thought, this seems to be a very commonly held yet inaccurate old wives tale. It stands to reason that a sharp knife will cut you very easily, therefore is less safe. However, after learning about many knife accidents and watching people use dull knives, I feel that this is in fact true. The whole reason a sharper knife is safer comes from the fact that sharper knives promote better cutting techniques. One of the most common unsafe practices I have seen using knives is using the point of the knife unnecessarily. When your knife fails to penetrate the item being cut, it seems common (and not recommended) to poke at it with the tip of the knife to get it started. When poking with the tip, the user often holds the item in their other hand. This situation makes even the slightest wrong move prove dangerous. 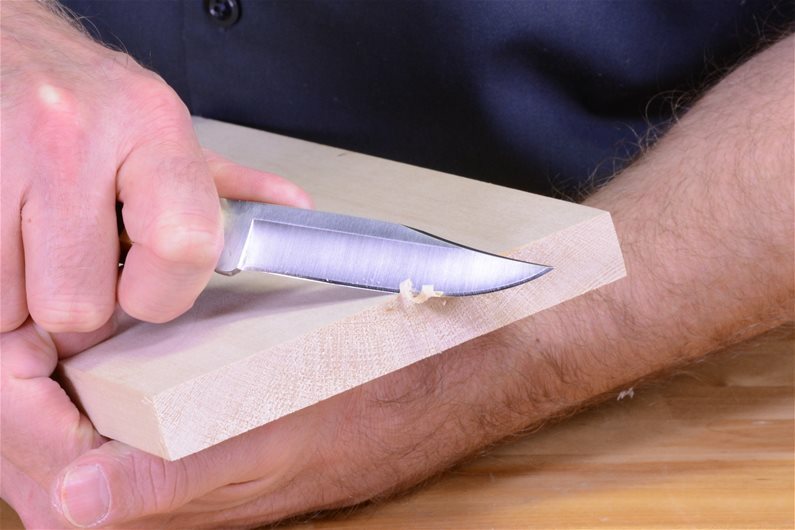 A sharp knife can cut using the edge of the knife with a safer slicing, rather than stabbing, motion. Another unsafe practice is using too much force in your cut. How many times have you seen a person grab on the spine of the knife with their other hand to provide additional down force on the knife. With the hand on the blade of the knife, if the knife slips or rolls over, the hand and fingers are in obvious danger. A sharp knife can be used with the hand on the handle and the fingers out of harm's way. When you know your knife is sharp, you treat it with respect. You handle a sharp knife carefully, you use it carefully and don't leave it laying around where it can cut someone. So in many ways, a sharp knife is just less likely to be used carelessly and for that reason, it is safer. Questions about keeping your knives sharp?